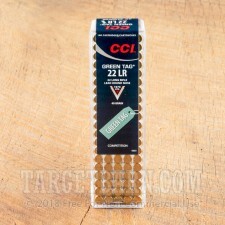 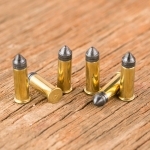 This Green Tag ammunition from CCI is designed to meet the accuracy and reliability demands of competitive shooters. 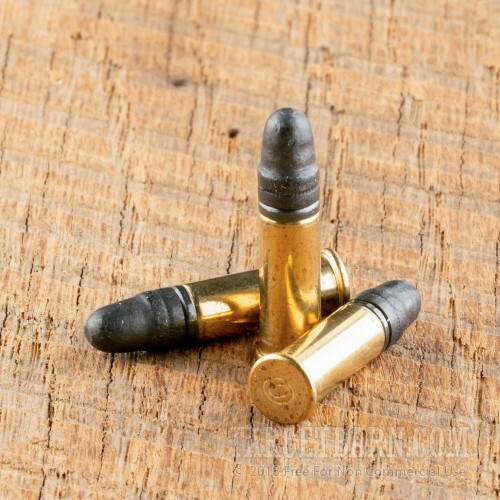 Each cartridge fires a 40 grain lead bullet at a muzzle velocity of 1,070 feet per second. This subsonic muzzle velocity contributes to excellent accuracy and synergizes well with suppressors due to its avoidance of the sound barrier. 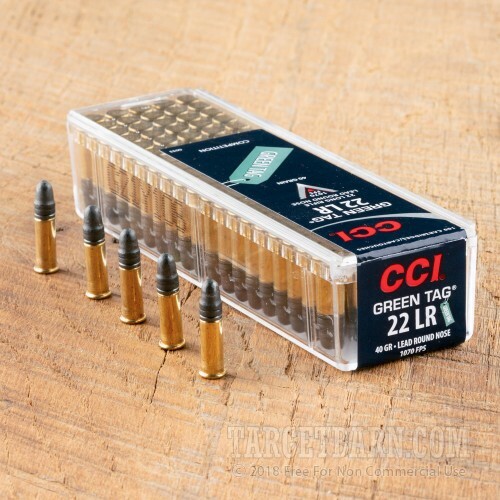 These cartridges are packaged in a 100 round reusable plastic box and use CCI's own famously reliable primers as well as clean-burning propellants that reduce fouling (hence the "Green Tag" name). 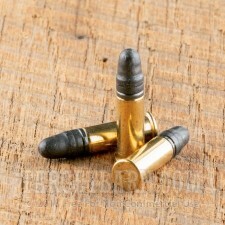 They are loaded in Lewiston, Idaho.